Welcome to my brand new shop !!! 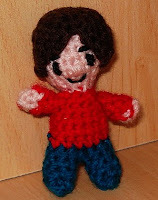 These are links to buy PDF crochet patterns in English, via Paypal. Once the payment is received, I get an email from Paypal and I will send you the PDF file via email. Count up to 12 hours to get my email. This little amigurumi doll gives a japanese air wherever she goes. Make a big one for home decoration, or a small one as charm to hang on phones, keys or bag. Choose any colour you like. This pattern is a PDF file with full instructions and loads of pictures so even the beginners can have a go ! This Tinkerbell look alike is bound to cheer anybody up. Make a big one for home decoration, or a small one as charm to hang on phones, keys or bag. 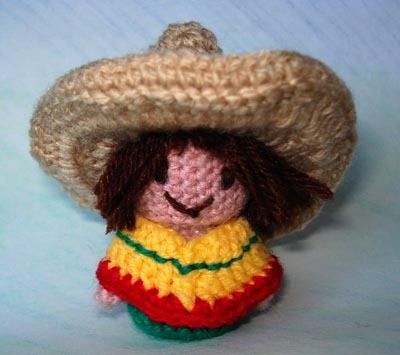 This little mexican boy is all snug in his poncho, and likes to hide under his huge sombrero !!! This is the perfect project for Christmas, make this little boy as a tree decoration, or for the table or anything you want ! Doesn't he seem to be coming right from a comic drawing? This pattern is a PDF file with full instructions. 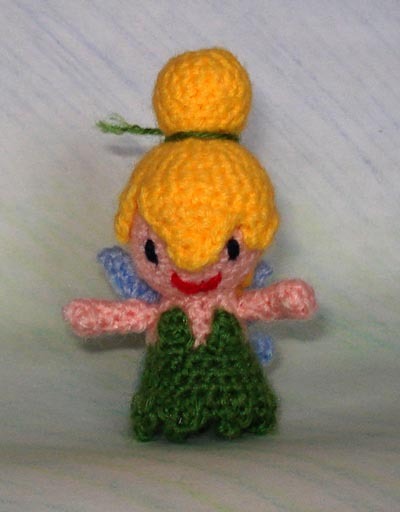 Learn a new technique : this doll is crocheted in round from the bottom to the top, in one go (except arms and hair). 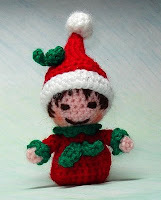 This is a little elf made to decorate the Christmas tree, or anywhere in your house for that matter ! This pattern is a PDF file with full instructions. 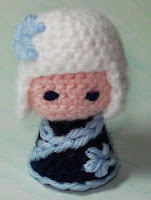 Learn a new technique : this doll is crocheted in round from the bottom to the top, in one go (except arms, collar and hat).